If you want to know how to clean silver that has become heavily tarnished, covered in dirt or encrusted with old silver polish, the Tableau Silver Cleaning Plate provides a quick and easy solution to your silver cleaning. This no mess solution to silver cleaning is non abrasive, unlike conventional silver polishes which rub away a layer of silver every time you polish your silver. 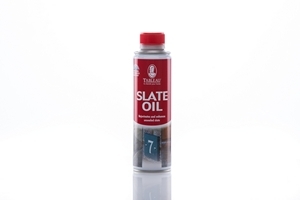 Due to its gentle formula, you can even use the Tableau Silver Cleaning Plate for silver jewellery cleaning as well as more substantial items, such as, silverware. For superior silver cleaning results, place the plate and the items to be cleaned in a bowl of hot water and household soda crystals and 4 - 5 minutes later you will have perfectly clean silver without rubbing, brushing or polishing. Your hands stay clean and free of polish. In normal use the Silver Cleaning Plate may be used several times. 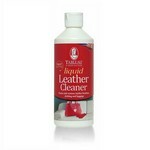 Use the Tableau Silver Cleaning Cloth or Tableau Cleaning Mitt to provide a finishing polish to your silver. As part of the Tableau Silver Care range, there is also the Tableau Silver Plating Solution which adds a layer of pure silver to your silver plate, copper or brass, every time you polish.